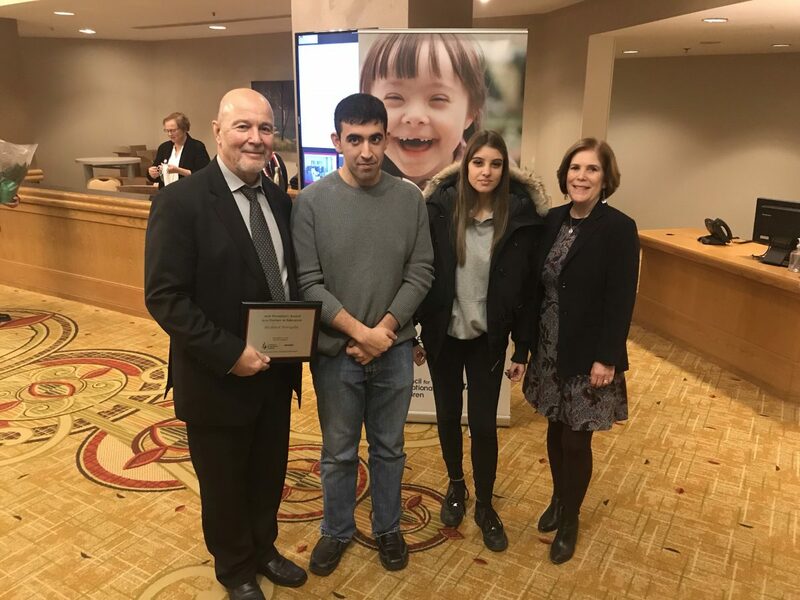 The York Catholic District School Board sincerely congratulates Rick Miraglia, Behaviour Resource Supervisor, on his recent receipt of the President’s Award from the Ontario Council for Exceptional Children. “Over the last forty years Rick Miraglia has focused on helping individuals in need in both treatment and educational settings. At a young age Rick honed his skills by working at the Children’s Aid Society and a residential treatment centre. His passion for helping at-risk students prepare for independent living grew through his involvement with residential group care and unit head management. His exemplary work with at-risk youth continued with his innovative work at North York Centre for Youth Services, Whitby Psychiatric Hospital and J.D. Griffin Adolescent Centre. In 1985, we were blessed to have Rick switch to an educational setting namely Dufferin-Peel followed by York Catholic in 1986. As a Behaviour Resource Worker in 1986, a Behaviour Specialist in 2001, and most recently as YCDSB’s Behaviour Resource Supervisor since 2010. Two students from our York Catholic community were also recognized by The Ontario Council for Exceptional Children at the Awards Luncheon. Congratulations to Josie Vitello, Grade 11 Student at Father Bressani CHS in Woodbridge and Joseph Del Re, a recent graduate from St. Joan of Arc CHS in Maple. Josie received a 2018 Provincial Yes I Can Award in the area of Self-Advocacy. Despite facing many challenges, Josie has grown to understand the consequences of her own actions and has become very successful at school. Her most recent career goal pertains to working in the legal field. She has been meeting with her school guidance counsellor to discover what the pathway would be to be successful and realize her dream. She initiated and followed through on her own community service placement for 2 years. The very best advocate for Josie, has become Josie herself. Joseph received a 2018 Provincial Yes I Can Award in the area of School & Community for his contributions to Youth Bocce Canada and the Special Olympics. For seven years, Joseph has played an integral role in both of these organizations. He is now taking a leadership role mentoring younger participants with their training. Joseph trains on a weekly basis to continue his level of performance. Joseph is in the CICE Program at Humber College. The Ontario Council for Exceptional Children works to enhance educational outcomes and improve the quality of life for individuals with special needs. The York Catholic District School Board is proud to partner with this fantastic organization, congratulates all award recipients, and thanks them for the work they do in promoting equity, well-being and success for all.